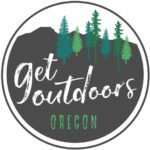 This outing is part of Get Outdoors Day, a statewide effort by the Coalition of Oregon Land Trusts to encourage Oregonians of all ages to explore, discover and learn about Oregon’s special places. 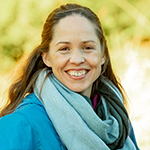 Hike info: We will hike between 2.5 and 3 miles on mown grass path, dirt or gravel trail, wooden boardwalk, and overgrown forest road. We will be crossing creeks on narrow footbridges. Expect some elevation gain. No toilets on site. No dogs allowed on site. What to bring: Water and snacks. Binoculars are always a good idea for spotting birds and wildlife! Please wear sturdy shoes and dress for the day’s weather.